This lovely diamond anniversary ring feature 0.14 cttw white diamonds in micro setting. All diamonds are sparkling and 100% natural. All our products with 100% Satisfaction guarantee. 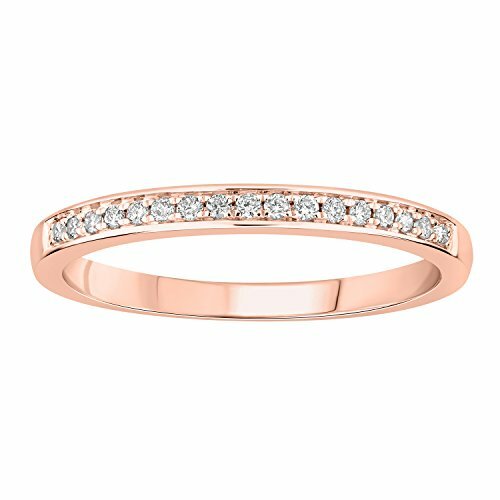 Crafted in 10k Rose Gold.